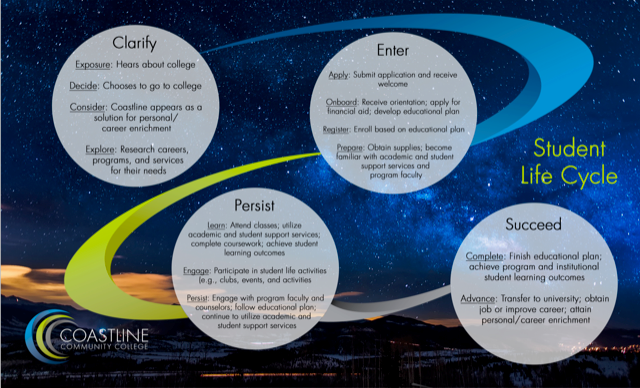 Coastline had a few growing pains but ultimately looked at Guided Pathways through the Student Lifecycle and this was a breath of fresh air for me. A call went out college wide for volunteers to be part of different workgroups and the Library became a member of the “Student Academic Persistence” work group. There are six workgroups total. A two day workshop in mid-August allowed each team to create work plans and goals for Fall 2019 and to see how the plans worked with each group. It was effective and even got me a little excited for Guided Pathways!